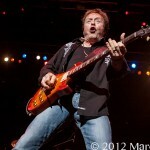 DTE Energy Music Theatre in Clarkston Michigan played host to The Rock and Roll Blues Fest last Thursday night. 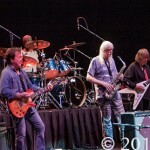 This show was packed with Legends; Savoy Brown’s Kim Simmonds, Rick Derringer, Edgar Winter and voted 74th on the all time greatest Blues Guitarist list, Johnny Winter. 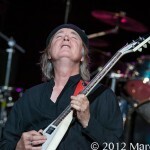 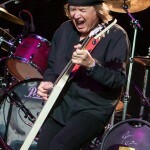 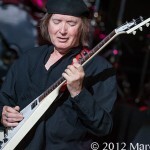 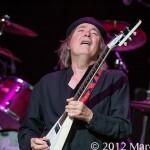 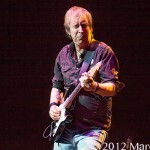 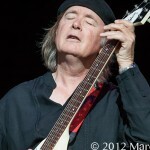 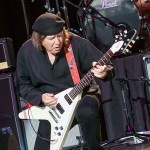 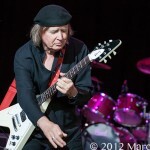 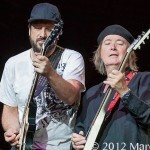 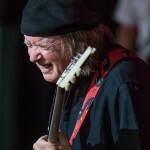 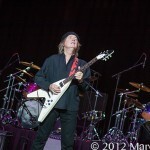 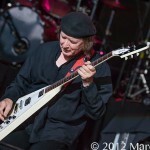 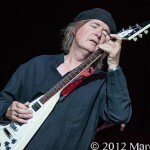 Kim Simmonds took the stage first and started the lesson of the blues of right. 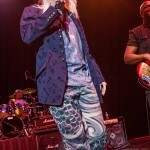 With songs like “Louisiana Blues” and “Tell Mamma”, Kim light up the stage. 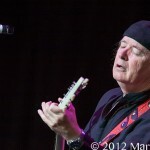 His performance was proof that his blood still bleeds the blues and nothing is over until it’s over! 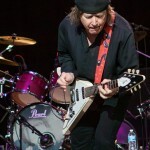 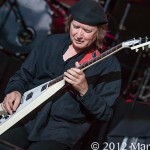 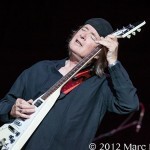 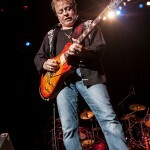 Next to hit the stage was Rick Derringer, this slinger has been shooting the blues from his guitar since the 60’s and his performance at DTE was nothing less than historic. 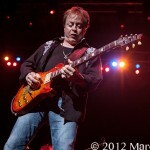 Kicking out songs like “Still Alive & Well”, “Real American” and his first #1 hit “Hang On Sloopy”. 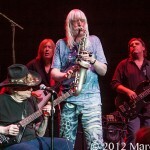 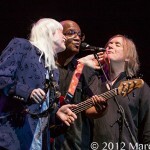 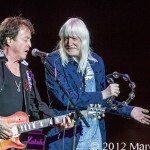 Rick is a true master of the blues and while playing his last song Edgar Winter and Kim Simmonds joined in for a rockn’ version of “Rock & Roll Hoochie Koo” that had the fans screaming in their seats. 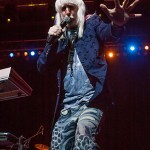 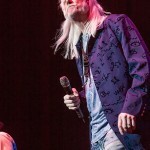 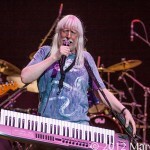 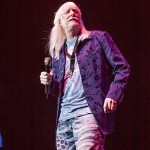 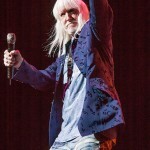 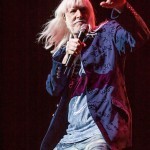 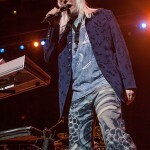 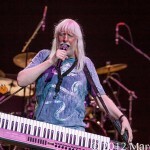 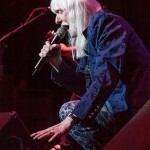 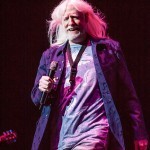 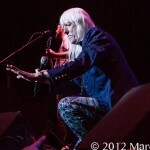 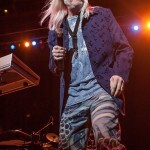 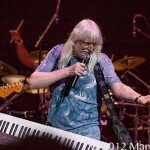 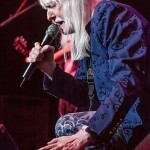 As the night air got cool the stage was just getting hotter; Edgar Winter was up next and he too was ready to fire things up. 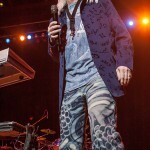 This child prodigy and inventor of the Keyboard Body Strap, has been flooding our ears with hit songs and instrumentals since he was a kid. 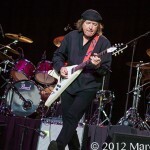 The crowd never left their feet as he played hits like “I Got My Eye On You”, “Tobacco Road” and one of our favorites, “Frankenstein”. 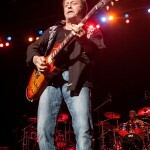 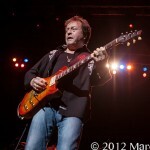 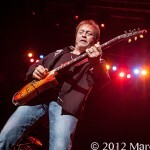 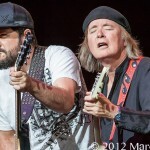 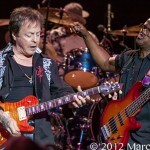 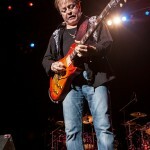 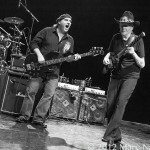 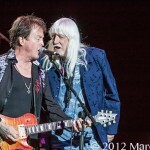 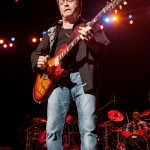 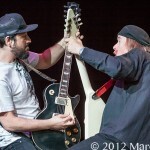 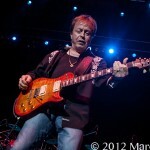 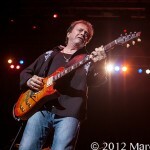 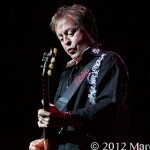 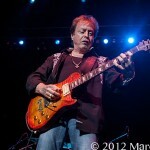 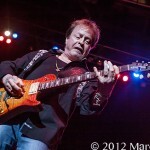 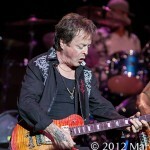 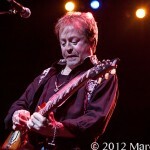 To top of his performance, Rick Derringer joined Edgar on stage for blow out version of another number hit “Free Ride”. 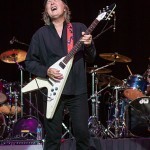 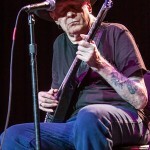 Edgar put on a high-energy performance and a historical journey of his musical career that brought back rock n roll memories to every fan in the house. 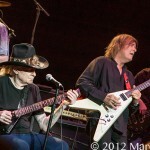 When we thought this show couldn’t get any better “It DID”; the anticipation of seeing one the greatest guitar players on this planet filled the venue with excitement. 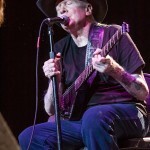 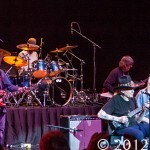 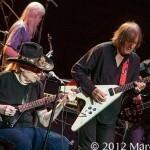 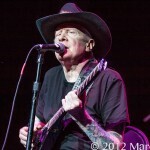 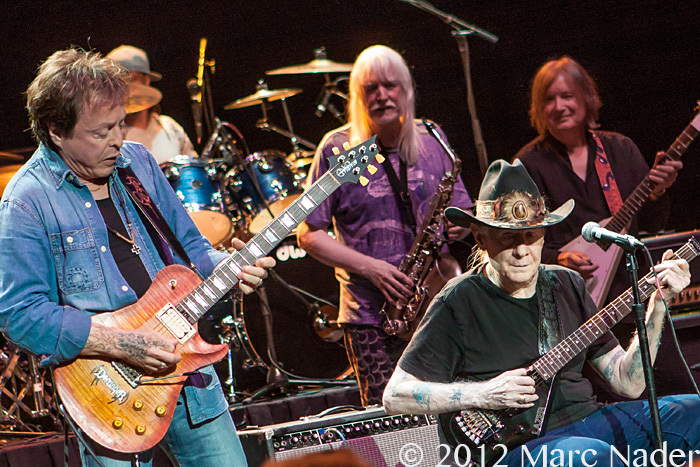 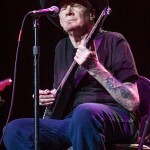 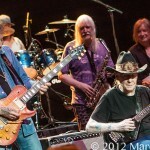 As the frail Johnny Winter made is way to center stage he was greeted with cheers and standing ovations. 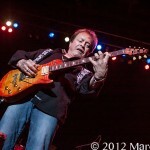 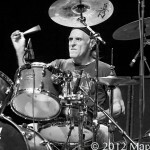 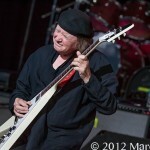 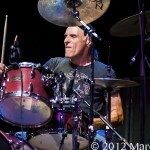 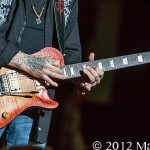 This Hall a famer still can cut the licks and Johnny gave his cheering fans a ear full of the Rockn’ Blues. 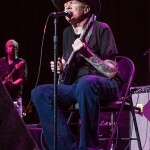 Starting things off with “Johnny B. Goode” and “Blackjack” Mr. Winter played his guitar like it was an instrument of his soul. 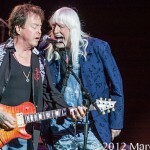 To add to this legendary show he was joined on stage by his brother Edgar Winters, Rick Derringer and Kim Simmonds for a combined performance of “Jumpin’ Jack Flash”. 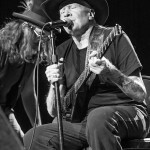 It was a historical night of the blues performed by some of the best and I for one was glad SeeTheMuzic was there to witness this event! 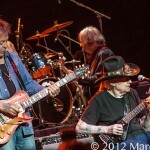 The Blues is the core structure of all rock and roll music, and this gang of legends will forever be a part of its history!